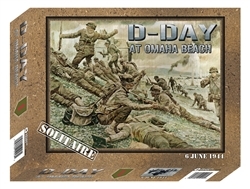 D-Day at Omaha Beach (3rd Printing) recreates America’s most bloody and heroic day of World War II. 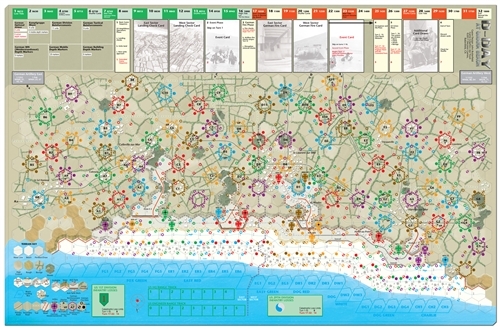 In this solitaire game from the designer of the solo classics RAF and Ambush, you control the forces of the US 1st and 29th Divisions landing under fire on the Normandy shore, and struggling desperately to establish a viable beachhead. The game is also great for two players playing cooperatively, each controlling one US division. 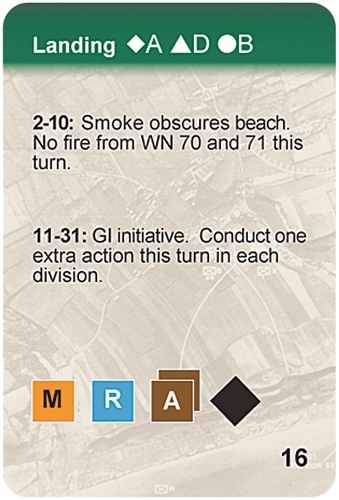 The First Waves – introduces the basics of the game in a recreation of the initial assault. 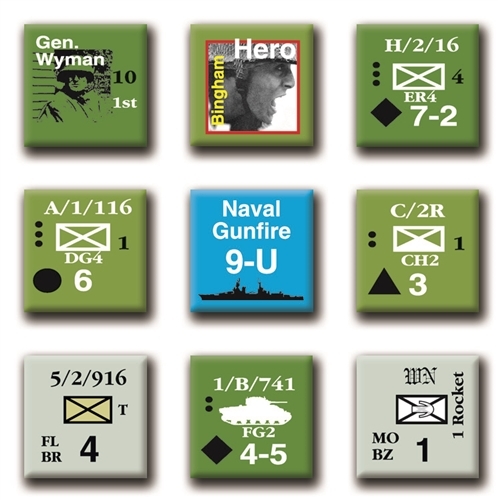 Beyond the Beach – picks up on the high ground at 10:00 am and adds rules for German tactics. D-Day at Omaha Beach – covers the entire day, from 6:15 am to 6:00 pm. 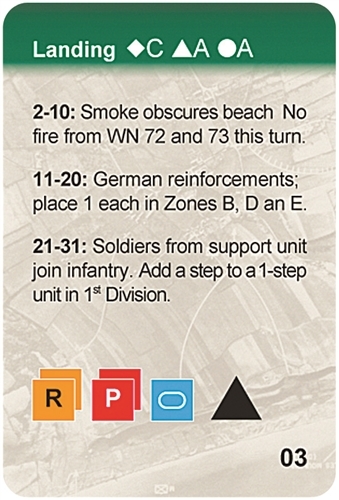 Optional rules explore what-ifs, such as more pre-invasion bombardment or the arrival of German armor. I really enjoyed learning and playing this game. It is a good solitaire game, that has rules that well control the opponent, yet still make it 'competitive'. Limited movement forces you to make difficult choices to use your resources or push initiative. Hero's provide some uncertainty to victory; are they going to show up, will they live long enough to get my people off that beach? I felt like it was realistic, and had two games come out very differently. Rules are logical, though it is not a quick learn, but once you have it, it stays with you as you play.